One era’s trash is another era’s treasure. That’s perhaps the best way I can think to describe the Internet Archive’s latest collection. The non-profit digital library is in the process of collecting something that was next to impossible to avoid in the 1990s – the venerable AOL CD-ROM. For the uninitiated, AOL launched a massive marketing campaign in the ‘90s in which they flooded mailboxes and magazines with 3.5-inch floppy disks (and later, CDs) containing software that people could use to connect their computer to the Internet (getting online was a lot of work back then). The unsolicited campaign persisted for well over a decade. Many viewed the push a nuisance and simply tossed out the media as quickly as it arrived. Environmentalists were even more upset as many deemed it wasteful but AOL made the best of it, boosting its subscriber count from just 200,000 pre-mailings to more than 22 million. Those with a passion for nostalgia and preservation, like Jason Scott, have been collecting the discs for years. Now, the Internet Archive is getting involved. 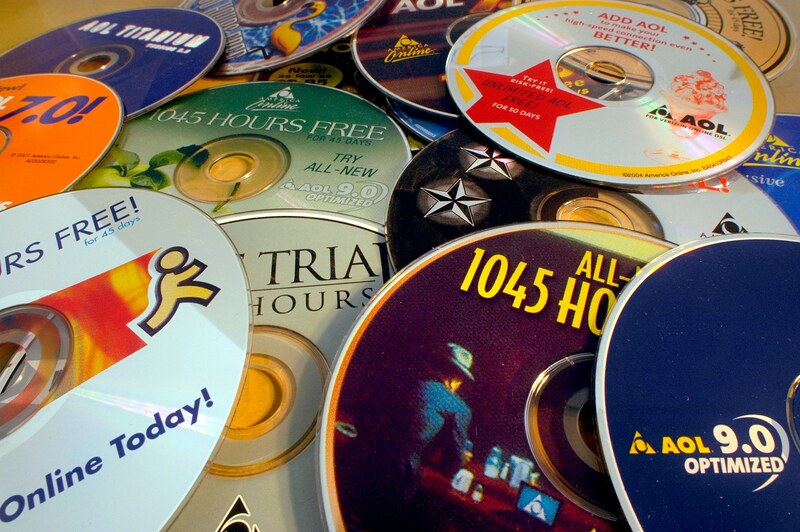 The digital library is collecting as many unique versions of AOL CDs as possible. At one point, half of all the CDs being manufactured worldwide contained AOL software. With several thousand variants produced, the Internet Archive certainly has its work cut out. If you’re interested in taking a quick trip down memory lane, head over and check out the collection. There aren’t many examples online just yet but that’ll surely change in due time.